The peace process in the Central African Republic is under continuous threat from violent groups fighting for control of the region's substantial natural resource deposits. 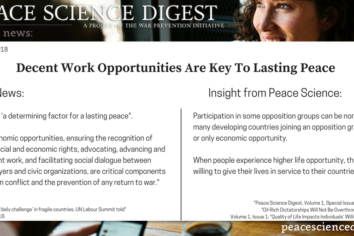 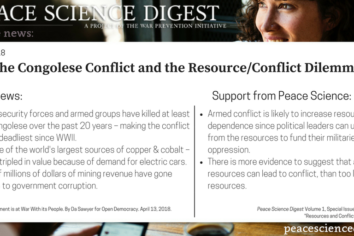 Peace Science provides more evidence to suggest that an excess of natural resources is more likely to lead to violent conflict, compared to too little resources-as many assume. New research from Mercy Corps and the Joan B. Kroc Institute for Peace and Justice finds that access to secondary education reduces support and for violent extremist groups.